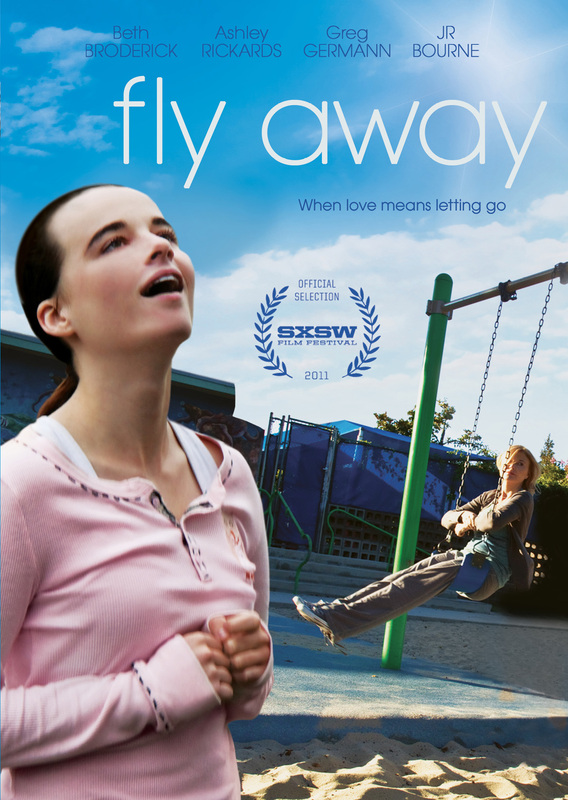 March 25, 2011, New York, NY – Timed to its film festival debut and theatrical release, FLY AWAY, a new feature film directed by Emmy Award® winner Janet Grillo (Autism: The Musical), will be available April 26 on Digital, VOD and DVD platforms. An award-winning script and compellingly real performances portray the poignant story of a single mother of an autistic teenager facing the challenge every parent eventually does: when to let your child go. Jeanne (Broderick) has cared for Mandy (Rickards) since the day she was born, growing closer every day to a child who is charmingly offbeat one moment and nearly impossible to manage the next. In the local dog park, Jeanne – who is divorced – encounters Tom (Germann), an easygoing and accepting neighbor who sparks a romantic interest, but she finds juggling Mandy’s care and her own career leaves little room for a new man. As the pressures of work and her child’s needs increase, she must decide whether or not to enroll Mandy in a therapeutic residential facility. Over the course of a few weeks, Jeanne is confronted with the most difficult decision a parent can make: to let go, allowing her child to grow, but also grow apart; or to hold on tight and fall together. FLY AWAY also stars JR Bourne, Reno, Elaine Hall and Zachariah Palmer. FLY AWAY, Grillo’s feature film directorial debut, premiered as an official selection at the 2011 SXSW Film Festival, followed by official entries in the 2011 Palm Beach International Film Festival and Arizona International Film Festival. A multi-city screening event for FLY AWAY is planned for the week of April 11 in conjunction with Autism Speaks, to which 10% of proceeds from DVD sales and 15% of proceeds from VOD rentals will be donated. The film opened theatrically in New York, Los Angeles and Washington, DC on April 11. Written by Grillo, FLY AWAY is the winner of the 2010 Best International Screenplay Award at the Swansea Bay International Film Festival in Wales. Grillo’s second short film, FLYING LESSONS – the inspiration for her new film – premiered at the Palm Springs International Film Festival in August of 2008, and went on to win several awards at festivals across the U.S. and Canada. FLY AWAY is written, directed and produced by Grillo; producer Pavlina Hatoupis; executive producers Catherine Hardwicke, Lee Adhemar G. Feldshon and David F. Schwartz. Celebrating its 20th anniversary in 2011, New Video is a leading entertainment distributor and the largest aggregator of independent digital content worldwide. Headquartered in New York City, with an international presence in 45 territories, the company delivers feature films, TV programs and web originals via digital download, streaming media, video-on-demand, Blu-ray and DVD. New Video streamlines the distribution and marketing process for filmmakers, producers and brand partners to bring a wide variety of fresh content to new audiences. The company’s library includes original TV series and movies from A&E®, HISTORY™, and Lifetime®, unforgettable games and trophy sets from Major League Baseball®, storybook treasures from Scholastic®, award-winning documentaries from Docurama Films®, Arthouse Films, and Plexifilm, next-gen indies and web hits from Flatiron Film Company® and festival picks from Tribeca Film. New Video is proud to distribute the 2011 Oscar®-nominated films Gasland, Waste Land and, on digital, Restrepo. www.newvideo.com.